Janet Anderson joined EdVestors in its first year of operations in 2002. As Executive Vice President, Janet oversees EdVestors’ core functions, including grant making, education analysis, strategy and program development, as well as overall fiscal management of the organization. Prior to joining EdVestors, Janet spent 12 years in a variety of education settings, primarily in higher education with a focus on student support programs and student retention. Janet completed her MBA degree in nonprofit and public management at Boston University’s School of Management. She holds an M.S. in educational administration from Iowa State University and a B.A. from Syracuse University. 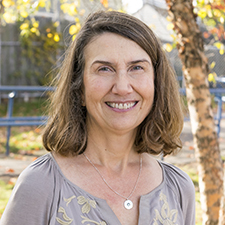 Janet also serves on the English Language Learners Task Force of the Boston School Committee and resides in Boston.